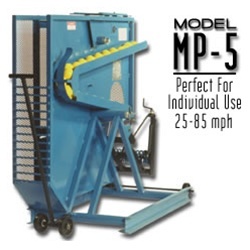 Iron Mike MP5 Rack Fed Pitching Machine Is one of the most durable machine's available. Repetition repetition repetition... This machine will allow you to hit ball after ball giving you the head up over your competition. Hitting is all about timing. You must have the proper timing to know when to start your swing and when to shift your weight. This is achieved by watching the pitcher's arm and release of the ball. 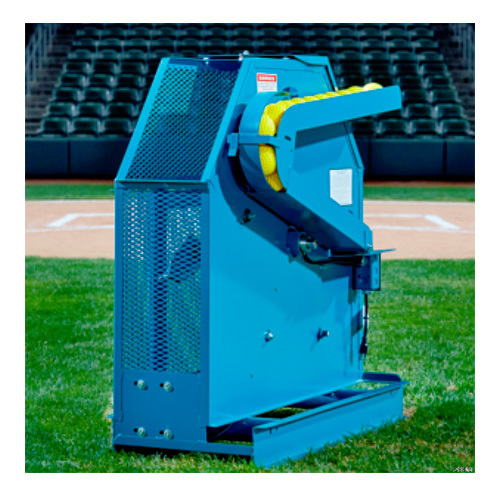 An arm-style pitching machine is the only type of pitching machine that gives you that same sense of timing as facing a real pitcher. It is the realistic nature of the machine that allows you to practice the same fundamentals in the batting cages as you use on the field.